"Ever feel like there isn’t enough time in the day? Sometimes, it seems difficult to find time for everything. For people with disabilities and health conditions, it’s no different. Often, we have some additional things, such as appointments, treatments, and cares to juggle." In this month's entry, Stacy talks about how recent medical appointments and treatments have her trying to find a balance in life. Check out a dynamic father/son duo in this month's Member Spotlight! The Wisconsin Council on Physical Disabilities is now accepting nominations for the Dan C. Johnson Advocacy Award. Check out the March 2019 edition of Self-Determination Network News! Be sure to give it a like and share it with your friends! Check out this month's Member Spotlight on the Self-Determination Network! Who should we shine the spotlight on next? In this month's entry, Stacy talks about how she experienced one of those moments while at the State Capitol advocating for people with disabilities. 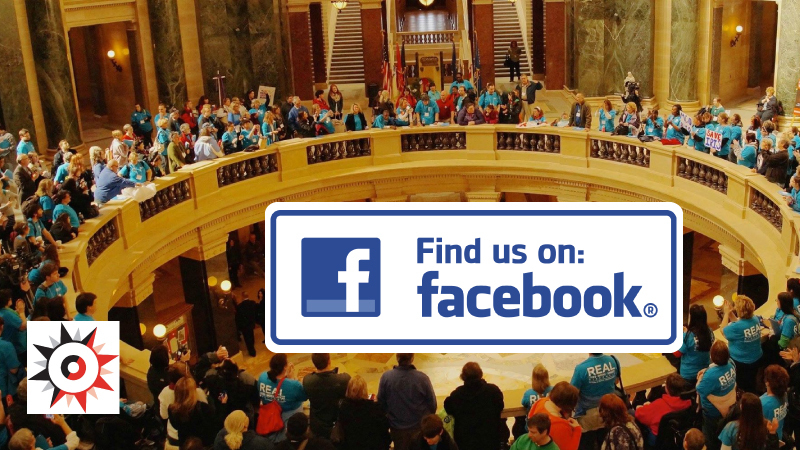 InControl Wisconsin updated their cover photo. There is a lot of great information in this month's edition of SD Network News. Check it out and share it with your friends! "Windchill warnings, polar vortex, below zero temperatures- people in Wisconsin have gotten very familiar with these terms recently. For people with disabilities, extreme temperatures (cold or hot) often create some unique challenges." In this month's entry, Stacy talks about how extreme temperatures often cause some different obstacles for people with disabilities. Check out our Member Spotlight for February! Who should we Spotlight in March? Check out the first edition of Self-Determination Network News for 2019! "Whether it’s with health issues, relationship issues, financial issues, work issues, or a combination of things, most people face some kind of adversity during life. People deal with challenges in many different ways; some good, some bad. People’s true colors show when they’re faced with adversity." In January's entry, Stacy opens up about some adversity she has faced over the past two months. How do you deal with adversity? Awesome opportunity for adults who use wheelchairs! The disability community has an opportunity to share ideas that could be included in Governor-Elect Tony Evers’ proposed state budget at a series of open meetings. Save the Date! Disability Advocacy Day 2019 will be March 20th! Applications are now being accepted for the Youth Leadership Forum. Check out the final edition of Network News for 2018! Check out this month's Member Spotlight! Who should we shine the Spotlight on in January? "Giving time, talents, or money to others makes people feel good about themselves. Especially during the holiday season, there seem to be a lot of feel good stories about people helping others." For December's entry, Stacy discusses how people with disabilities are often recipients of the pay it forward movement, and, while the recipient is usually very appreciative, it makes he/she wonder why he/she was chosen. Even though there are laws in place to help people with disabilities, they do not often help them at the doctor's office. Many people with disabilities have some unique challenges when emergency situations arise. First responders in the La Crosse area are learning how they can better help people with different abilities. The National Council on Disability (NCD) has released a report on the enforcement of federal disability laws by various federal agencies. November is National Family Caregiver month. Wisconsin kicked off the month with an event at the capitol last Friday with a proclamation from the Governor. An "Airline Passengers with Disabilities Bill of Rights" is being developed to assist travelers who have disabilities.